Software is much different today than it was ten, twenty years ago. It used to be, if you wanted a piece of used software, you had to go down to a swap meet, book store or computer store and hope they might have something that you were looking for. Then ebay arrived and changed the way we got rid of stuff. Fast forward to the introduction of the App Store which started changing the way we thought of software. It went from being something that was rigid and unchangeable to fluid and open to constant improvement. While this was embraced by mobile users, desktop users still seemed to prefer the old way of doing things…”buy a box and let me be”. That couldn’t last forever and today we are seeing one of the largest software makers in the world switch from box distribution to cloud based distribution. So what does this change? Well from Adobe’s side, it will drastically reduce pirating. The software will not require a constant internet connection, but it will need to be verified at least once a month for security and for possible updates (though you can go up to 180 days without an update before it shuts down). Adobe will also be able to add exciting new software updates more often than once a year. This is a big plus for users which we’ll talk about in just a bit. From an end-user side, there are several major pros and a few cons. Starting with the cons, the most obvious one will be the absence of the single time purchase option. If you want to purchase Adobe software once and have it last you 5+ years…you’re out of luck. A subscription service means you’ll end up paying more for the software over three years than you would if you bought it outright, but I’ll soon explain why that doesn’t matter in the long run. The pros are extensive. First of all, becoming an owner of Adobe software doesn’t require a giant plunge. You can subscribe for $30-$50 a month. That’s a lot easier to swallow for those just starting off. For those complaining about the price, if $50 a month is “too expensive” then I’m sorry but you’re in the wrong field. In the past, Adobe limited their updates to once every two years. When CS5.5 was announced, it was because Adobe had some great new features they wanted to add to their software without waiting for the two year cycle. But they knew that businesses that invested in their software didn’t want to purchase a full upgrade every year when they decided to release a new version. Rather than wait that two year cycle, they’ve now gone with the “app” method. 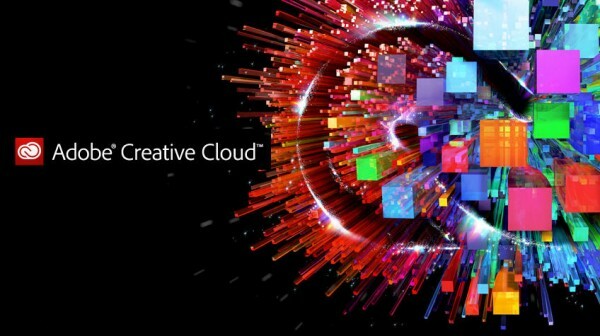 By subscribing to Creative Cloud and eliminating the “CS” numbered versions, they can add new features in a simple update and not wait an entire product cycle. This is huge for end users. Each year Adobe announces fantastic new features for Premiere, After Effects, etc. that I can’t wait to get my hands on. But having to wait and then purchase a new version is a bit frustrating. Now, by subscribing each month, there will be no extra purchase to make and you will always be up to date. I’ve heard some complain that by ending piracy, Adobe “…will destroy the market of those who can’t afford their software…” This of course is ridiculous. Piracy is not a “market”. Whether as a professional or a student, you have to make investments in the field you are in. It’s not like I can “pirate” a camera…no I have to purchase one. Software is the same way. I’ve also heard a few people complain that they’ve been fine with CS4/5/6 and they won’t need to upgrade for awhile. That they don’t want to pay for a monthly subscription if they don’t want new features. Chances are those people won’t need every piece of Adobe software. They can pay $20 a month for a single app. And again, I can’t stress enough that if you’re a professional, you should determine to have the latest version of the software you use. Savvy clients will expect it and you’ll be doing yourself a favor by having all the latest improvements at your disposal. I have several monthly expenses that are a part of my professional life: phone, gas, studio rental, internet, etc. If I removed one of these, I wouldn’t be able to operate my business as efficiently as I do now. Adobe software is a backbone of my creative process and I’m happy to stay up-to-date with all the great features they keep cramming into it. Frankly, I’m very excited that Adobe software can go from being a once a year giant investment to a regular monthly expense. now has a bug in it. Another issue that needs to be answered is once I join the cloud and move files to and from the cloud ..who owns them? …I think you’ll find adobe does.. I have worked on projects of a sensitive nature and I really don’t want to be in a position where access can be gained by the very people I am reporting on. there are many other areas that worry me and many users but too long of a discussion for here. I would suggest Adobe run a poll amongst its users to see who really wants this..? ” Rather than wait that two year cycle, they’ve now gone with the “app” method. By subscribing to Creative Cloud and eliminating the “CS” numbered versions, they can add new features in a simple update and not wait an entire product cycle.” – and force an early upgrade on users at 2x the cost who would have otherwise skipped it. Tony, I know you to be a great person and I respect you greatly, but this series of Adobe articles you have put out is quite condescending to say the least. It definitely feels like you are beholden to Adobe for some reason. This is absolutely not an argument about being “pro” vs. “not pro”, which belittles the issue. It’s about dollars and cents and more restrictions being put on end users, regardless of who they are. For many the relative costs are higher for the same product – period. I don’t care if you don’t make any money on making videos or you’re a huge company like Hill Holiday who has to buy a ton of subscriptions. For those who did not upgrade every year (many businesses, by the way, who still have clients who wouldn’t know better than to judge them on what version of software they run (!! ), the price went up, and the insurance policy of always having a perpetual license to fall back on (with a known, fixed cost) has evaporated. I love Adobe products and use them. But I’m also going to run CS6 into the ground and rethink other options now. And no, that doesn’t mean “Elements” editions. Come on, that’s just inflammatory. I would agree with you. He has articles to sell. While I know that I agree with some of your information however sometimes the fan boy kick is annoying. And you are so right in his condescending tone is poor at best instead of offer insight on other solution.